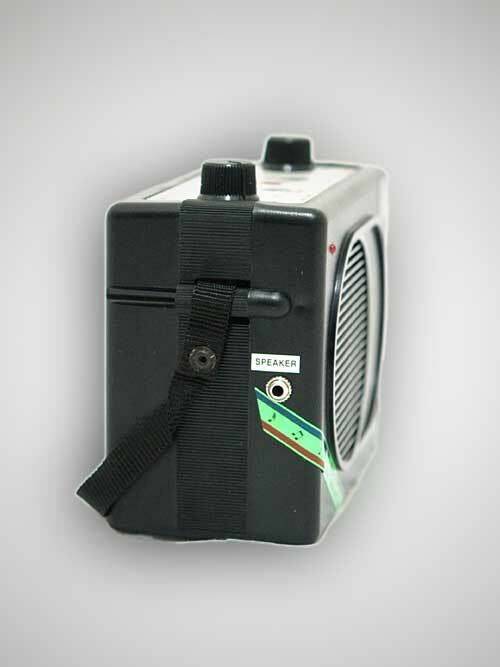 It has a plastic housing and we supply the instrument including a bag. 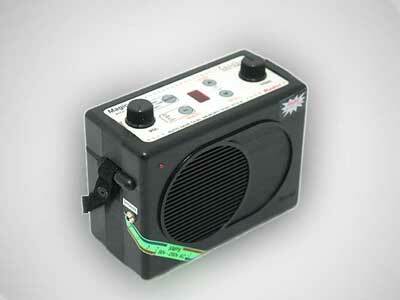 It is usable for any voltage between 90 and 230 Volt AC without having to make any adjustments. 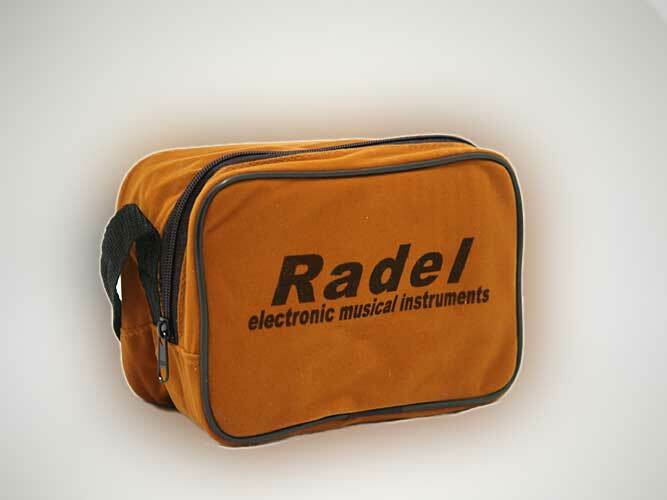 The technical functioning of the electronic Tanpuras made by the Radel Company is based on the so-called sampler technology. 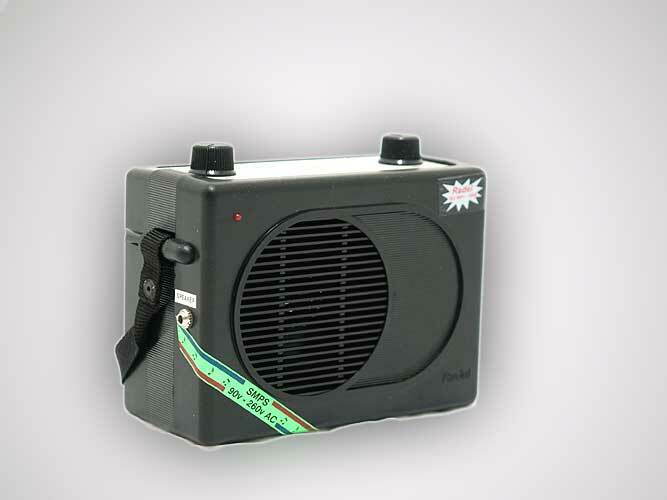 The difference between the appliances is in the number and quality of the loudspeakers. 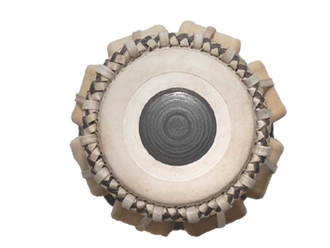 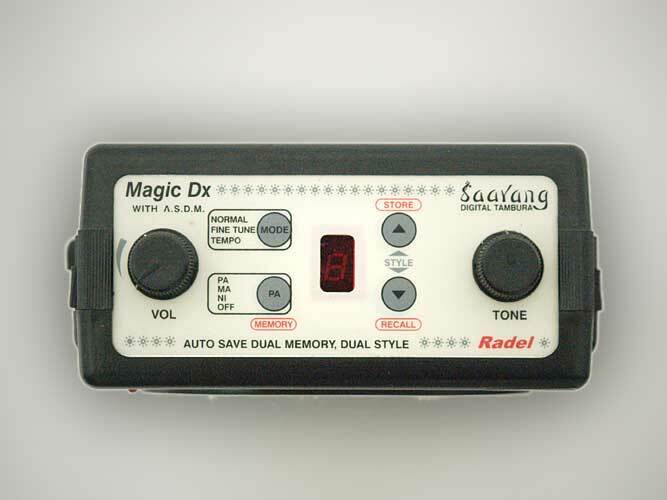 The sound sample above is merely meant to give you an impression of the sound of an electronic Tanpura and is not related to any of the instruments on offer.